Drinking coffee doesn't have to raise your cholesterol! Drink it trip. That's my motto. That way you don't have to deal with the cholesterol increasing factors. Drinking coffee and cholesterol are intimately connected whether you like it or not. Although it may not cross your mind when drinking a cup of coffee enjoying the awakening aroma it gives off possible giving you the juice you need to start your day, how you drink coffee affects your cholesterol levels. Do you drink filtered coffee? - Your cholesterol is safe. However, I can't say the same about those drinking French press. When trying to lower your cholesterol numbers, how you drink coffee affects how successful you are at fighting off high cholesterol including coffee cholesterol. What causes high cholesterol in coffee is what is called the cholesterol increasing factor. Components found in coffee oil such as cafestol and kahweol are thought to be the cause of coffee induced cholesterol increases. However, drinking filtered coffee isn't accompanied with the same risk of increasing cholesterol. Drinking filtered coffee may lower the cholesterol increasing factor in coffee, thus reduce the impact coffee has on your cholesterol levels. Despite previous studies suggesting that coffee may cause high cholesterol, studies shows that filtering coffee or drinking filtered coffee lowers the impact coffee may have on increasing your cholesterol. Results showed that men and women drinking six cups of coffee a day for 17 days straight experienced no significant increase of cholesterol. On the other hand, people drinking unfiltered coffee experienced increases in cholesterol levels. Drinking coffee filtered lowers the cholesterol risk factor in coffee. Coffee isn't high in cholesterol. Instead it contains substances known to increase your cholesterol called the cholesterol increasing factors. 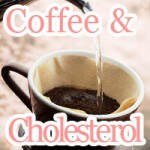 The 2 big cholesterol factors are cafestol and kaheol which are found in coffee oil. Cafestol also known as diterpene cafestol found in coffee is known to cause increased cholesterol. 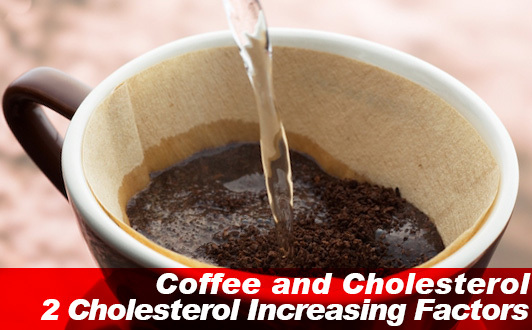 Primarily found in coffee oil that is removed during the filtering process of filtered drip coffee, cafestol has been shown to induce hypercholesteromia, high cholesterol in humans and rodents such as gerbils and rats. Unfiltered coffee such as boiled coffee, Turkish coffee, or French press contains significantly larger amounts of coffee oil. Turkish coffee and Scandinavian-style boiled coffees have as much as7.2 mg of cafestol per cup, whereas filled coffee only has around 1mg of cafestol per cup. The difference in cafestol content attributed by the prevalence of coffee oil in boiled unfiltered coffee is thought increase the cholesterol increasing factors of coffee. Filtering coffee before drinking drastically lowers the coffee oil content in the coffee you are drinking. In effect, you lower your intake of cafestol reducing the cholesterol increasing factors associated with drinking coffee. Kahweol also known as diterpene kaheol is also thought to cause increased cholesterol in drinkers of unfiltered coffee. There is said to be as much as 5.4mg of kahwoel in unfiltered Turkish coffee. Filtering coffee greatly reduces cafestol and kahweol content making drinking coffee less of a cholesterol risk factor. Gross, G., E. Jaccaud, and A. C. Huggett. "Analysis of the content of the diterpenes cafestol and kahweol in coffee brews." Food and chemical toxicology35.6 (1997): 547-554. Terpstra, A. H. M., et al. "The hypercholesterolemic effect of cafestol in coffee oil in gerbils and rats." The Journal of nutritional biochemistry 11.6 (2000): 311-317.
van Dusseldorp, Marijke, et al. "Cholesterol-raising factor from boiled coffee does not pass a paper filter." Arteriosclerosis, Thrombosis, and Vascular Biology 11.3 (1991): 586-593. There is good and bad cholesterol. Not every cholesterol lowering treatment such eating foods to lower cholesterol or exercise works the same way. 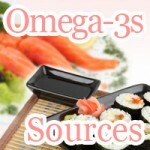 Do you know the best foods to lower cholesterol may be on the menu the next time you go out to eat Japanese food? Eat octopus to lower your cholesterol.